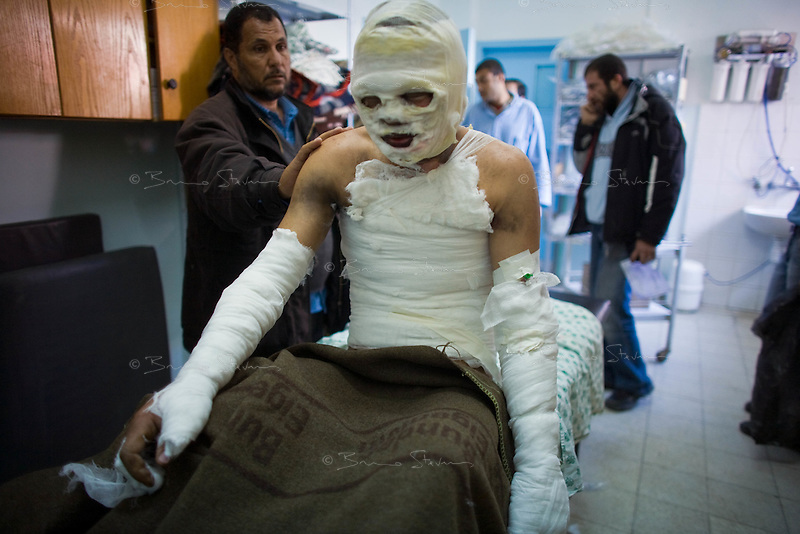 Khan Younes, Gaza Strip, Jan 12 2009.Naser Hospital, Mohamed Ahmed, 17, was in his field behind his house in Garara when he saw white smoke coming from the sky and was instantly burned over 35% of his body. Doctors categorically declare that he suffers from deep chemical burns, NOT heat exposure. Chemical weapons use in a civilian area constitute a war crime according to the Geneva convention.